The next time you order a burrito, it may be delivered by an Uber driver. 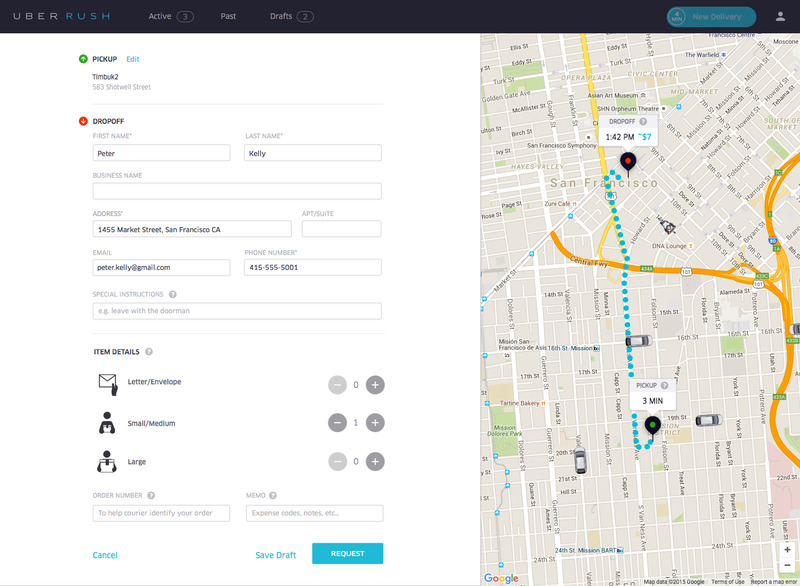 Today, Uber is graduating its Uber Rush pilot from an experiment to a business. 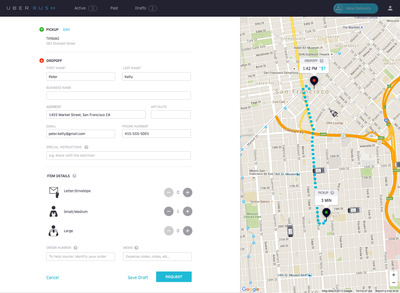 First launched in 2014, the Uber Rush trial let users hail a courier from within its app, like you would a regular Uber, and track the messenger as they approached. When Business Insider tried the New York City pilot, a reporter had a raincoat she forgot at a meeting picked up and dropped off within 20 minutes for $US11. However, that was an extraneous and frivolous use — most individuals don’t need bike messengers in their every day life, forgotten rain coat or keys aside. The real customer for Uber turned out to be businesses. 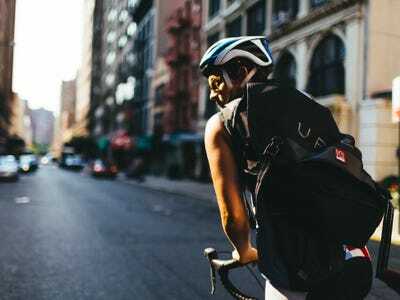 The key difference between the new Uber Rush and a lot of its competitors like Postmates is that Uber Rush is designed to be only your delivery driver — not the app where you place your order. When users open the app, selecting the Uber Rush button won’t pull up a list of restaurants or stores who have guaranteed delivery within an hour. (Postmates, on the other hand, displays its delivery partners like Chipotle and McDonalds and lets users pick from a menu of items.) 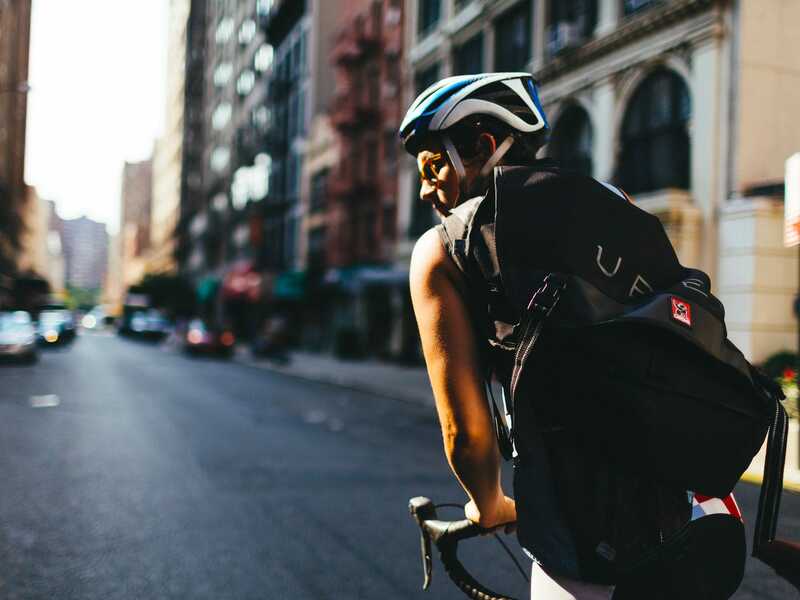 The only Uber Rush function for customers using the Uber app will remain the same as the trial — you can request a personal courier for those moments when you need your raincoat delivered. The real business for Uber Rush will be in becoming the delivery fleet for small businesses across a city. 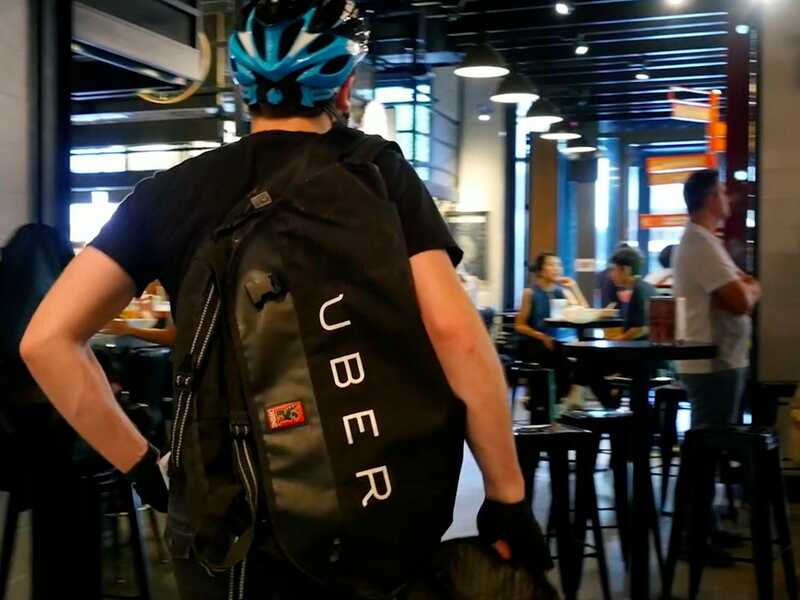 If a restaurant is swamped with delivery orders during the lunch hour, they can sign onto the Uber Rush merchant platform and summon a courier to their doorstep to deliver the orders for them. If a small boutique wants to add same-day delivery for their clothing or books, then they can add it as a delivery option (against the slower standard choices). Where Uber becomes most efficient, and most like FedEx or UPS, is in its ability to pick up multiple packages from multiple businesses. Most customers won’t know they have called a business that uses Uber Rush until after they have checked out and receive the text message that says the delivery is on the way with a trackable link. Convenience costs, but Uber’s decision to turn it from an experiment into a real business suggests confidence in its business model. Businesses won’t have to pay Uber to sign up for Uber Rush. Each Uber Rush delivery will cost the merchant between $US5 and $US7. Uber will pay the driver 75% to 80% of that fee, then keep the rest. It will be up to the merchants whether they want to pay the cost of deliveries out of pocket or tack it on to the order total that the consumer pays. Uber gets its share either way. Postmates, its most direct competitor for on-demand delivery, uses a similar model, taking a cut of the total value of each sale. Postmates CEO Bastian Lehmann says the company makes about 20 per cent gross profit margins on each of its deliveries and is on track to be profitable in 2016. While the two companies may end up in a price war, they’re ultimately approaching it from two different angles. With Postmates, you order from Postmates. With Uber Rush, you order from the business and Uber handles the delivery in the background. UberThe Uber Rush delivery screen for merchants. Stores fill out the drop-off location and the size of the item, and an Uber delivery person will come and pick it up. Uber Rush’s initial launch will be limited to three cities: Chicago, San Francisco, and New York. In San Francisco, packages will be delivered via a mix of bike couriers and cars. For Chicago, it’s cars only, whereas New York deliveries will use bicycles or be on foot. For now, packages and passengers will ride separately, and any Uber Rush courier will have special training for things like how long they should wait for a delivery or how to best park their car to run into a restaurant for an order. 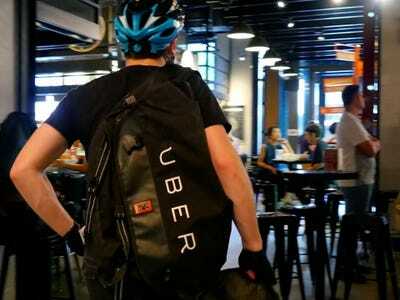 Uber will have to fight for a large share of bike messengers and drivers alike, especially in the beginning when the two won’t mix. If Uber can balance supply, demand, and efficiency, at massive scale, then the real threat may be to big delivery giants like UPS and FedEx if users start choosing a cheaper and faster same day delivery option — one that allows you to track it as it’s being delivered.